Addressing technical debt is always a challenge. Sometimes finding an outside pair of eyes to look at your technical architecture is the best way to identify problems and get up to date. We did exactly this when one of our clients called upon us to update their source code. OtoSense Inc. is a US-based startup company that develops and sells mobile applications and related products based on Sound Intelligent Recognition, designed to improve the security and independence of people with hearing loss. For the accounting startup Fred de la Compta, building a new version of its web app was crucial to improve user experience along with their growing customer base. To get it right, it turned to Pentalog which has a lot of collaboration experience on building apps. Maintaining just the right amount of human resources is difficult as HR needs are always fluctuating. We recently helped an energy management software company that is constantly starting new projects and closing old ones by providing a flexible framework where they could add and subtract developers on demand. To stay competitive, businesses need to evolve. PAP knows this as much as anyone, starting from a completely non-web business they created an online platform. To optimize their platform and operations they teamed up with a Pentalog nearshore development team. 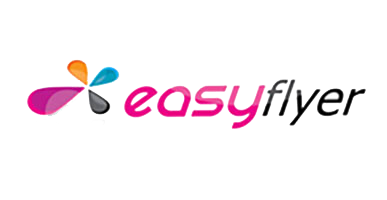 Online businesses like Easyflyer can have a sizable need for telephone resources for internal and external use. To handle a growing influx of customer questions and requests they asked Pentalog to set up an IP telephony system with call management tools that helped them efficiently respond to their customers. How can your great business idea become a reality when it requires the quick development of a groundbreaking technology? That was the challenge facing this California-based start-up hoping to bring the magic of shopping optimization enjoyed by e-commerce to the brick-and-mortar world. One of our clients, a large E-commerce business, knew what changes they wanted to make to their IT framework, all they needed was an expert team to design and implement the changes.They decided to form a long-term relationship with Pentalog that would span a number of years as well as a number of different projects. Our client provides consultancy services to banking and financial institutions as well as efficient software solutions aiming to help them organize, manage and improve their financial processes and operations. How can a longstanding HR services company innovate and begin their digital transformation process? Partnaire, a recruitment agency whose history reaches back to 1952 in Orléans, France, was asking itself this question. Two of Pentalog’s expert IT consultants were called upon to review Partnaire’s information system.